We must have some of the fastest keyboardists on Earth, you know – no sooner was Woolly Wormhead’s Hat Design Workshop announced than it was booked out. It’s on Sunday August 12th, which is some time away, and a lot can happen in four months. So we’re talking a little about it here, and encouraging those of you who weren’t lucky enough to nab a place to put your names on the waiting list (this worked out very well for Kate Davies’ workshop – a few spaces came free and were made available to the entire waiting list on a “fastest finger first” basis!). TIK: When did you start designing and why? WW: I started self publishing my designs in 2005 through my old blog, as a way to not only record what I was doing, but also to see if there was any interest in what I was doing. At the time I was a full time Art/Textiles teacher and was struggling with health issues, and found that writing my designs in pattern form helped keep my brain active, as well as provide another creative outlet for me to explore. I’d always made and designed my own clothes, whether sewn or knitted, that’s something I’ve done since I was a child, but writing them down to share, and grading them for different sizes, made everything more real. The response to those first designs provided the encouragement I needed to continue. TIK: Why do you design hats? WW: There are many reasons why I like to design Hats! They are portable, and as we travel a lot and live in a relatively small space, portable is a must. They are perfect for learning and practising new techniques, as they don’t need the same commitment that a larger project does, and they’re relatively quick to make and reknit. I have a short attention span and get bored very quickly knitting larger projects, so Hats make perfect instant satisfaction projects. Let’s not forget circles and spheres; a Hat builds on these shapes and allows for some pretty amazing patterns and structures. Hats are expressive and fun to wear – they can dress up or dress down a mood, the most versatile of accessories. Finally, to me, Hats are little wearable sculptures. My specialism is 3D Textiles, and Hats are as good as it gets when it comes to mixing fashion and sculpture. I did say there were many reasons, right? TIK: What’s the most important characteristic for a hat to have? WW: Good fit is pretty important – one size doesn’t fit all – sure, knitting stretches, but stretch it too much and it distorts. In my mind, it also needs continuity between the brim and the body and the crown – that’s pretty important for a good design. TIK: What’s your favourite knitting technique? WW: Hmm… not sure I have a favourite technique! There are several I like to use, such as kitchener, provisional cast-on, short rows. I’m especially loving short rows at the moment! I think any technique that allows me to create a seamless 3-dimensional construction is going to be a winner with me. I don’t like seams or picking up stitches, and would much rather graft something or find another way around the construction that, while it may seem a little challenging at times, will overall produce a neater finish and provide continuity in the design. TIK: What do you say to people who claim that hats don’t suit them? WW: There’s a Hat out there for everyone, they just haven’t found the right Hat yet. 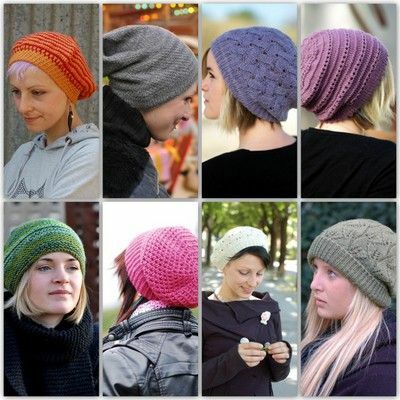 You can read more from Woolly Wormhead and browse her designs at her website at this link. We can’t wait till August, when we get to find the right hat, and design it, and make it! That’s been done for you Maria 🙂 I know – you can’t take your eyes off us for long, huh? Thanks muchly! And you’re right, I really, really can’t. You’re all just such addictive personalities! Absolutely nothing whatsoever to do with what you sell. Oooh, no.